The first Kindle Fire had USB debugging set to go straight out of the box. The new Fire HD has it turned off, so here’s how to enable it. 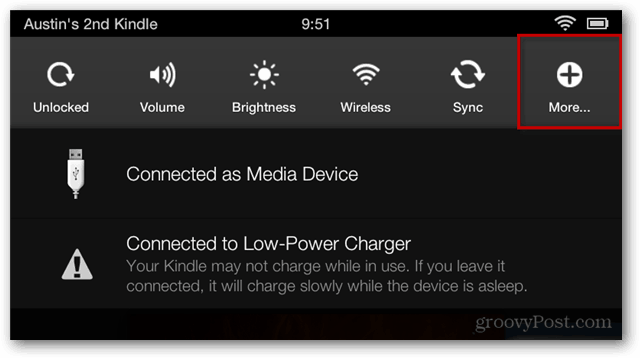 Unlike the original Kindle Fire, the new HD version doesn’t have USB debugging enabled by default. Because the Kindle Fire HD has a custom “Amazondroid” interface, the option to enable debugging isn’t in the same place as other Android devices. But fear not, I’ll show you were it is and how to turn it on. 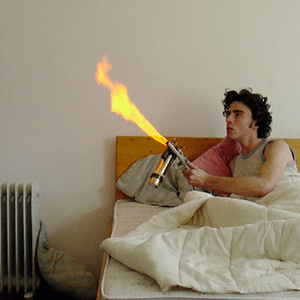 And hey…it’s a lot easier than building a mosquito flamethrower. First swipe from the top of the screen down to display the Notification menu and tap More. 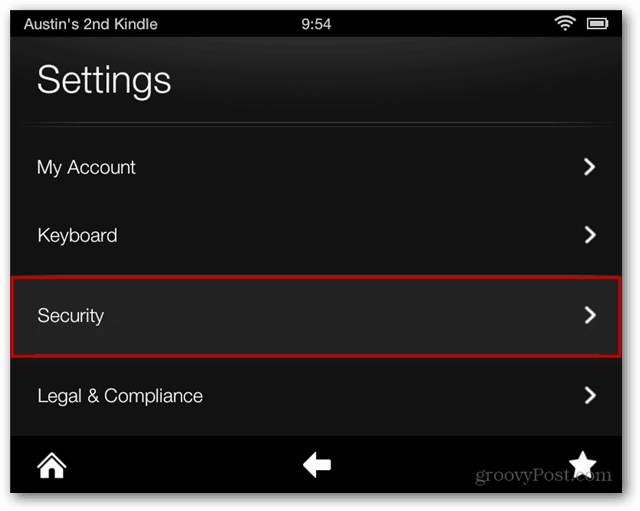 Next scroll down the Settings menu and Tap the Security category. Now on the Security screen tap On for the Enable ADB option. That’s it! 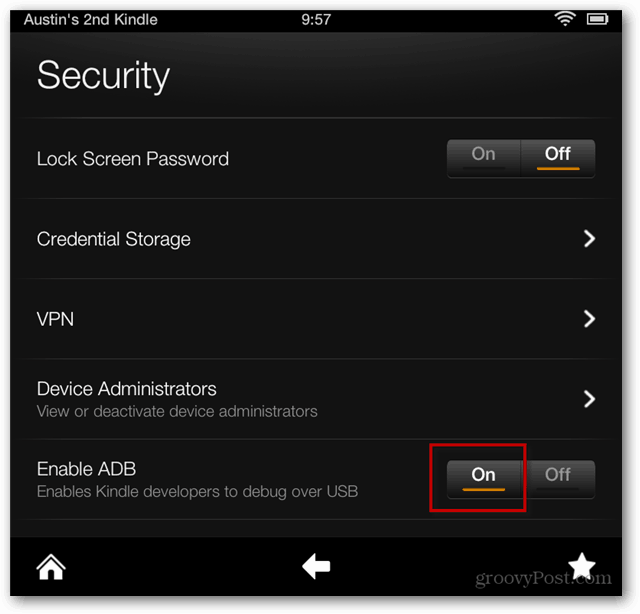 USB Debugging is now enabled for the Kindle Fire HD! Connect it to your PC requires a few more steps that I’ll talk about in my next Fire HD segment on connecting the device over ADB. I have Security & Privacy “tab” not just Security and there is no Enable ADB option to be found. Kindle hd 7 is like that. I found went to ‘device options’, then tapped Serial Number several times fast. It says ‘you are x taps away from being a developer. I think it takes 7 taps. After that, if you exit device options and re-enter you will see an entry at the bottom of the list that says ‘developer options’, where you can enable ADB. thanks dice,i found adb thyanks to your comments.nut am getting same issue. root fails with kingo. Dude you are amazing :) thank you so much for the help !!! Can you turn off USB debug… While the device is off? I just bought the new kindle Hd 2104 version, and this is not setup at all like you are stating…there is no setting at all on this kindle that even resembles this. I have a kindle fire 8 he 7th gen. I have no “more” tab anywhere. I just want to install flash player. This thing is driving me to drink! If anyone has any advice for me PLEASE let me know. Thank you Dice. It worked.